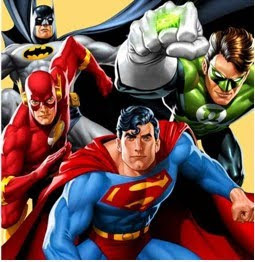 Since its inception in 1934, DC Comics has developed into an industry leader and has continued to be one of the largest and most diverse publishers of comic book adventures. It is the only comic book publisher internationally selling over 5 million comics per month through more than 100 licensed publishers in 75 countries. That was a huge accomplishment! DC Comics characters have also inspired blockbuster movies, classic television shows, engaging video games, exciting theme park attractions, and an array of consumer products for fans of all ages, worldwide. These are the characters that have shaped our notion of heroes, and created a modern mythology for every generation, across all media. As part of its 75th year celebration, DC Comics is inviting everyone to join the DC Comics 75th Year Power Up! Super Heroes Challenge this June 19-20, 2010 at the SM Mega Mall Events Center. The activity camp will feature extreme outdoor activities, which will be set up indoors for the first time in its scale. This Father’s Day weekend, kids and parents alike can bring out the superhero in themselves through activities such as the Tyrolean Traverse, Two-Line Tight Rope, and the Zip Line. The set-up will be mounted through the expertise of Kampo Trexo outdoor events and edu-adventures and Event King. The camp site will also feature a DC Comics Mini Museum where limited collection toys from, DC Comics, Toy Kingdom, collectors and fans will be on display. Comic book lovers and toy collectors can expect an array of Batman, Superman, and Justice League toys and figurines. 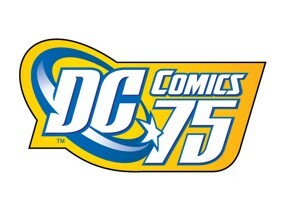 DC Comics 75th Anniversary will be the main theme of the 9th Toy Convention to be held on June 19-20, 2010 at the SM Mega Trade Halls 2 and 3. 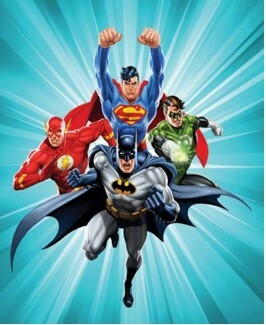 Everyone is invited to come in a superhero or comic book character costume. This year, Collectors Unlimited will attempt to gather the most number of people in superhero costumes in one location. This year’s Toy Convention will include DC Comics-themed competitions and activities. DC Comics will be inviting Filipino comics artists who have rendered work for DC Comics to autograph your DC Comics collectibles in the Toy Convention and Toy Kingdom, SM Megamall There will also be a special auction of limited edition DC Comics Encyclopedias to participants who purchase DC Comics licensed products from the DC Comics booth in the Toy Convention. This is definitely a must-have! Get a free DC Comics 75th Year bag tag when you buy PhP500 worth of DC Comics products from the SM Department Store Character Shop and Boys Teens Wear departments. 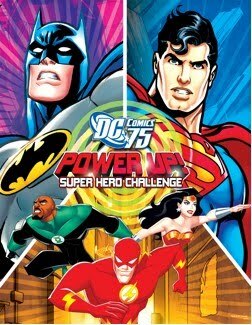 Use this as your event pass on June 19 and 20, 2010 to register at the DC Comics 75th Year Power Up! Super Heroes Challenge in the SM Megamall Building A Events Center. One bag tag entitles one participant to go through the course once. You may also present any Batman or Superman personal care product by Master Kids at the registration booth to claim one bag tag to use as an entry pass to the DC Comics 75th Year Power Up! Super Heroes Challenge. From May 22 to June 20, 2010, a minimum purchase of Php500 of DC Comics licensed products in all Character Shop departments and selected Boy’s Teens Wear departments in SM Department Stores will entitle you to a free DC Comics Super Heroes bag tag that will serve as your entry pass to the DC Comics 75th Year Power Up! Super Heroes Challenge. DC Comics and all related characters and elements are trademarks of and ©Warner Bros. Entertainment Inc.